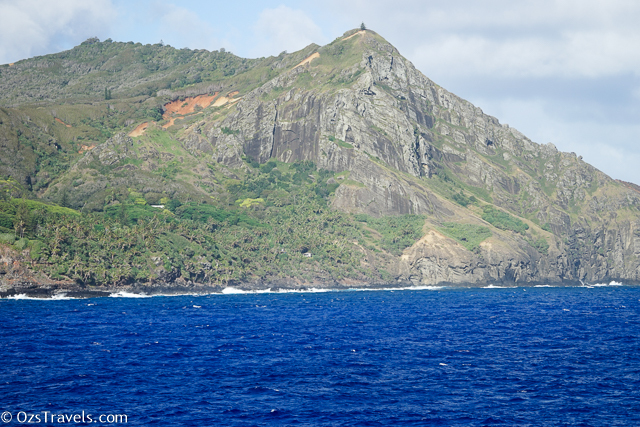 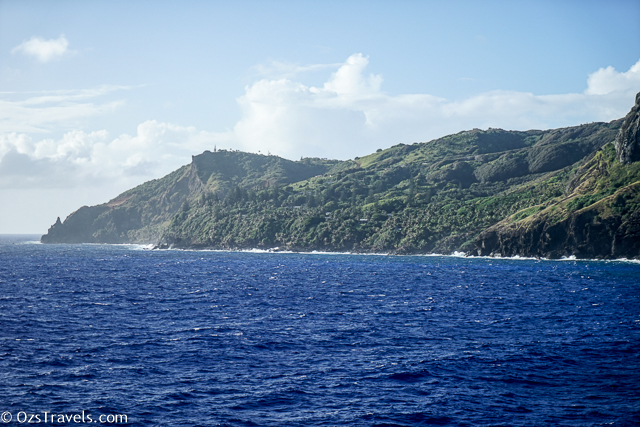 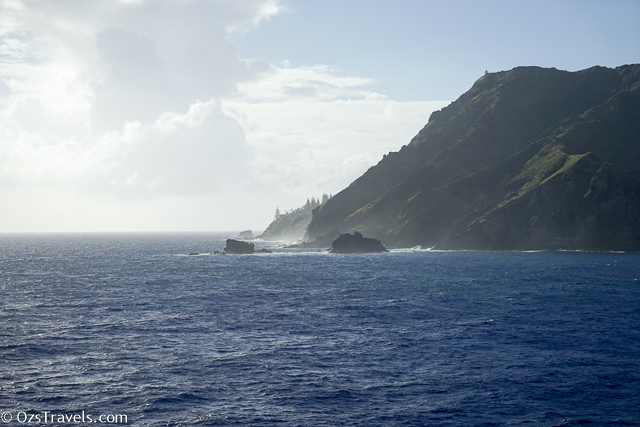 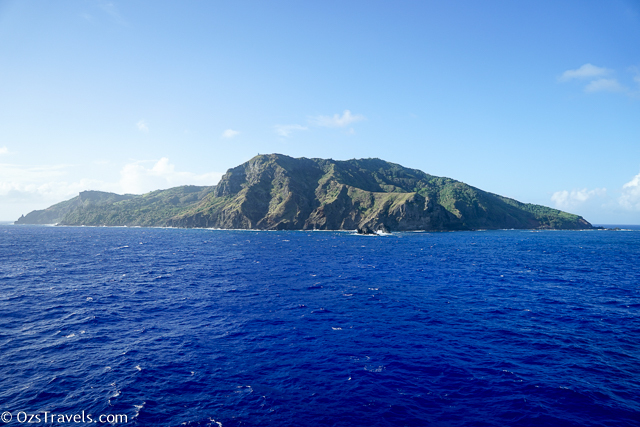 When I awoke on the morning that we arrived at Pitcairn Island I knew that we were going to have issues with getting ashore due to the sea state. 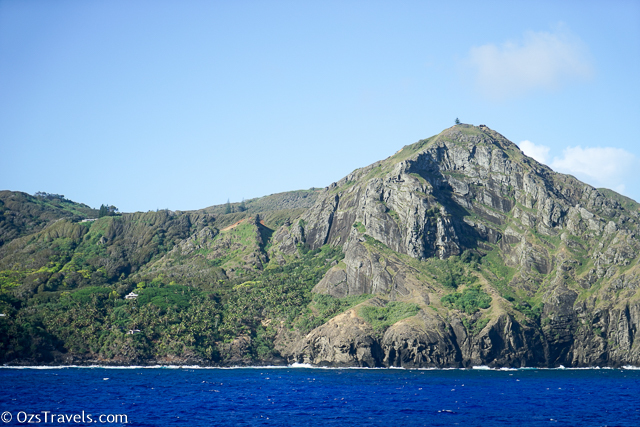 It was not overly large, but I had heard that getting ashore in Bounty Bay by boat (in this case we would have had to use the island’s own longboats as the ship’s tenders are too large for Bounty Bay) is difficult at the best of times. 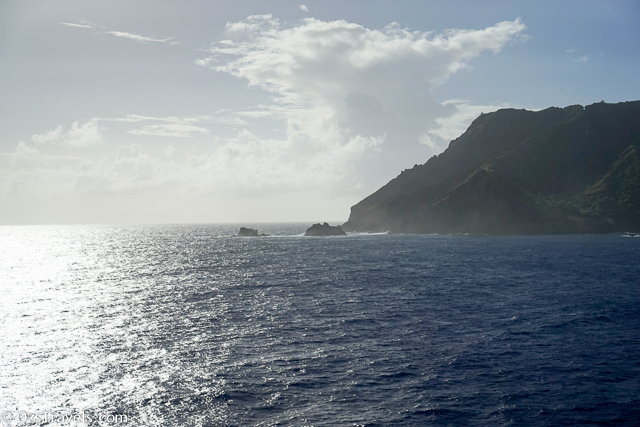 As we awaited the Captain’s decision, I sat on my balcony, taking a few photos, marveling at how isolated and foreboding the place is. 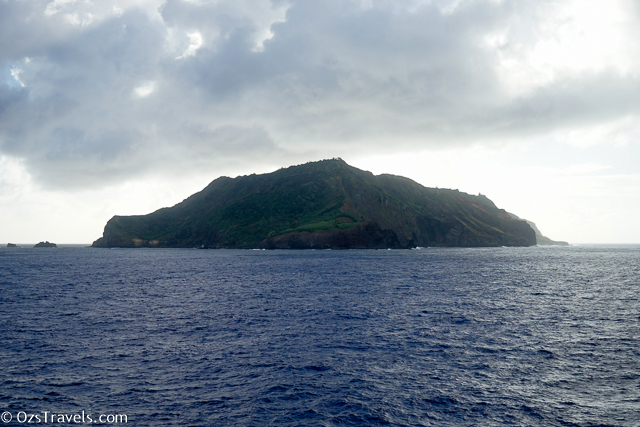 When the crew of the Bounty and the Polynesian companions found this place it must have looked pretty good as they were hunted and the location of the Islands was incorrectly recorded on the British Admiralty charts, the longitude was out by about 3 degrees. 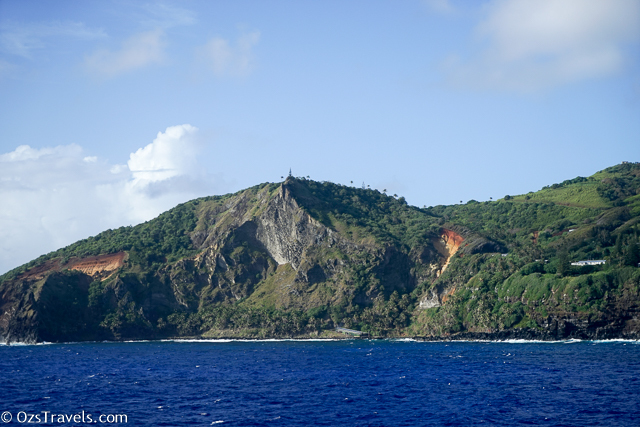 Unfortunately the decision was made that it was too dangerous to both get ashore or bring the 56’ish people, who live on the island, onboard due to rough seas, so this would be the closest we would get to experiencing Pitcairn. 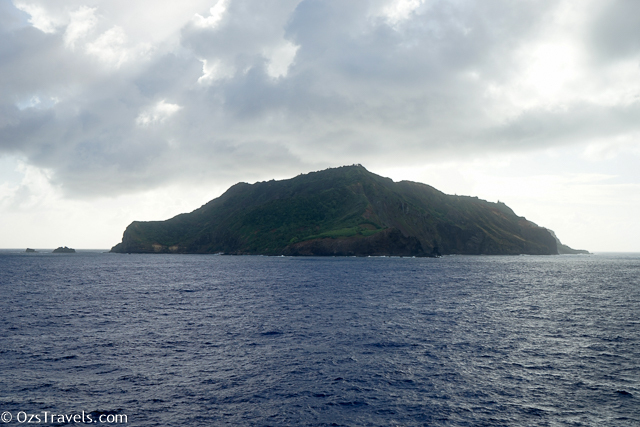 The change in plan meant that we would go around the island and once that was completed head towards our next port of call. 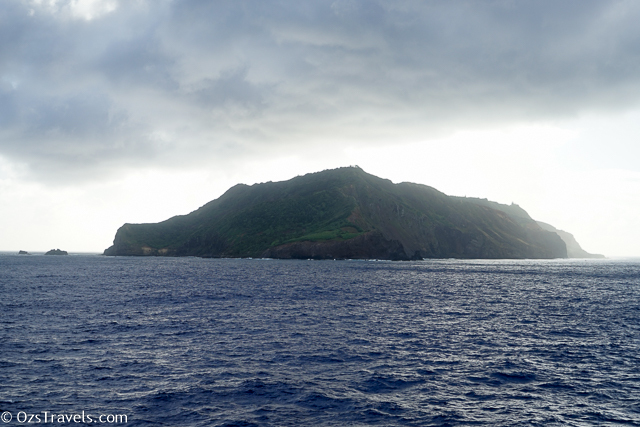 As we moved around the island the sun started to shine, but the seas did not abate. 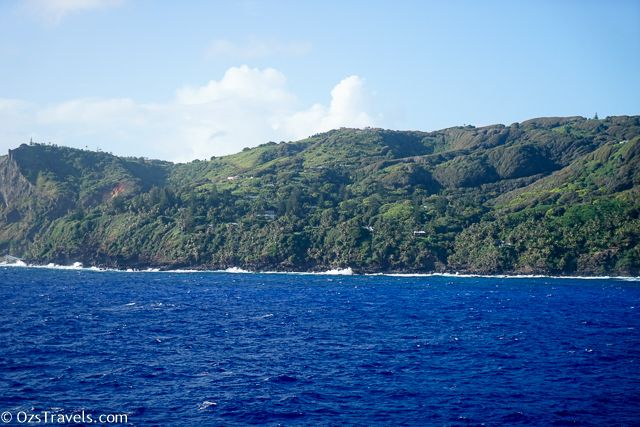 Bounty Bay is the only place on the island where it is possible to safely get ashore. 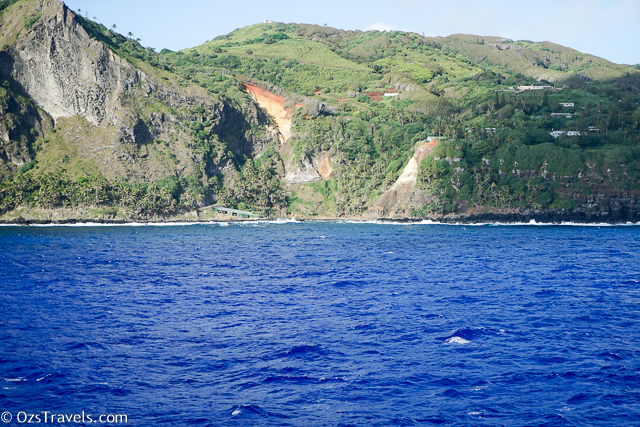 As the entrance to the bay is very tight, even relatively small seas make the entrance unsafe. 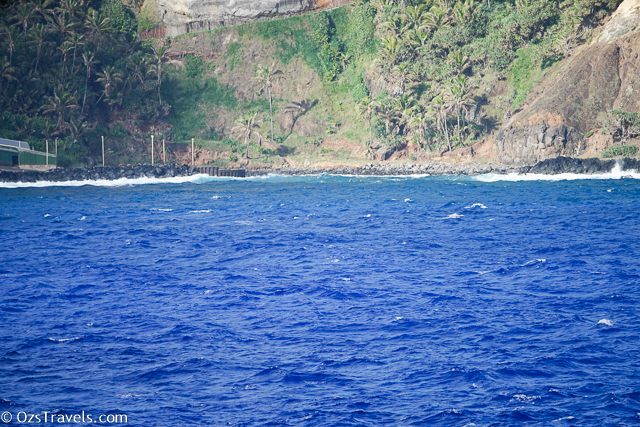 Watching the waves breaking around the entrance for a short while confirmed that the Captain the Pitcairn Islanders were right, it was not safe to try to get the long boats in and out of the bay. 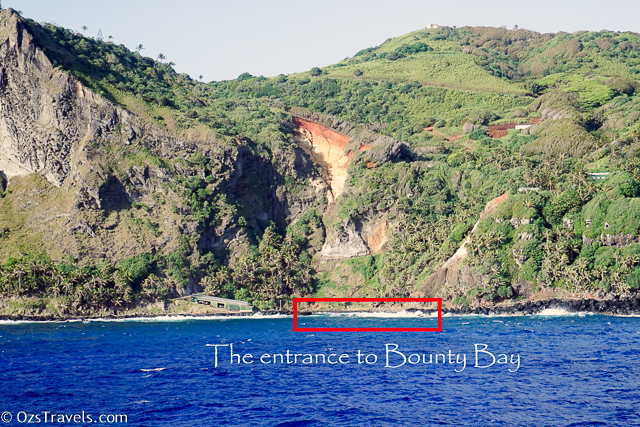 Bounty Bay was named after the HMS Bounty which the mutineers burned and then it subsequently sunk in the bay once they had stripped the ship of everything useful. 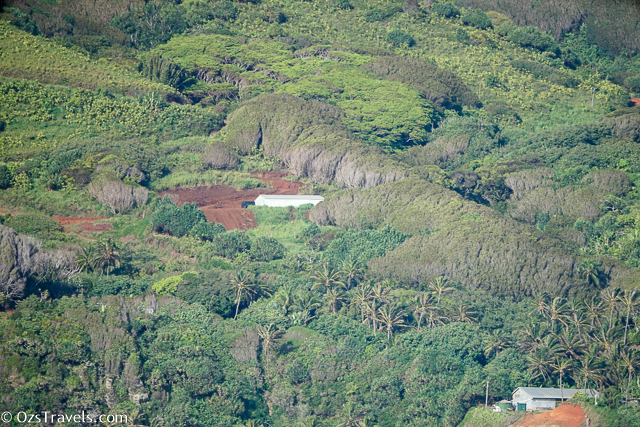 You can apparently still see the remains of the wreck in the bay. 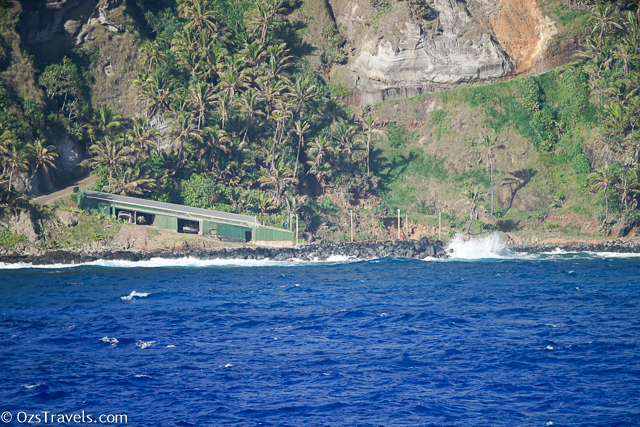 Our Cruise Director Willie Aames in formed us that he was on the bridge when the decision was made by the locals and they were disappointed as they don’t get many visitors. 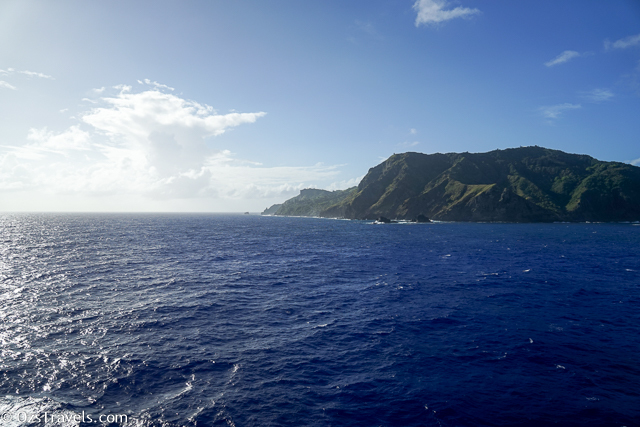 Hopefully I will get the chance to visit one day! 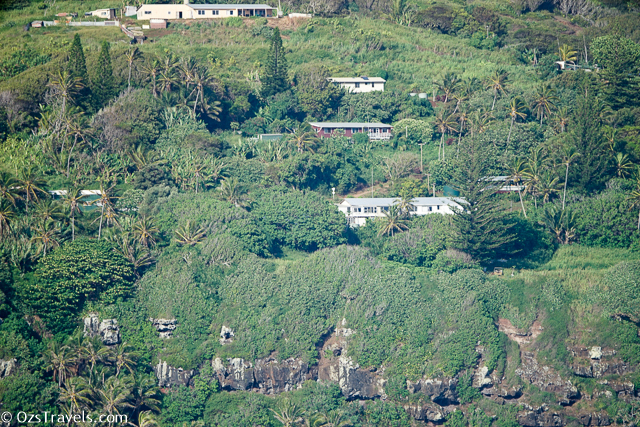 The “Township” where the approximately 56 inhabitants live, including a prison that was built to house the 6 men who were convicted of sexual assault charges. 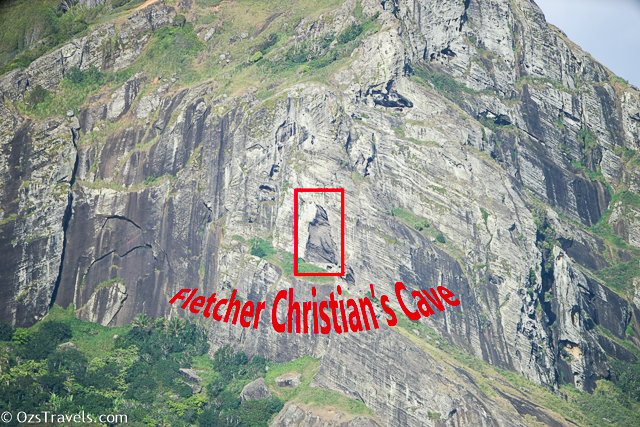 Apparently Fletcher Christian spent most days in a cave, called Fletcher Christian‘s Cave (very imaginative name), scanning the horizon for any potential “visitors”. 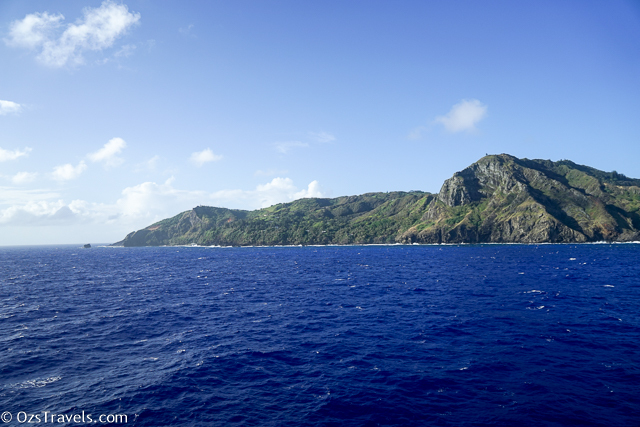 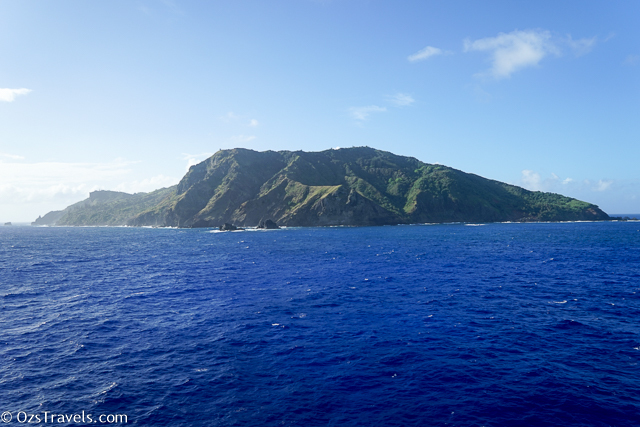 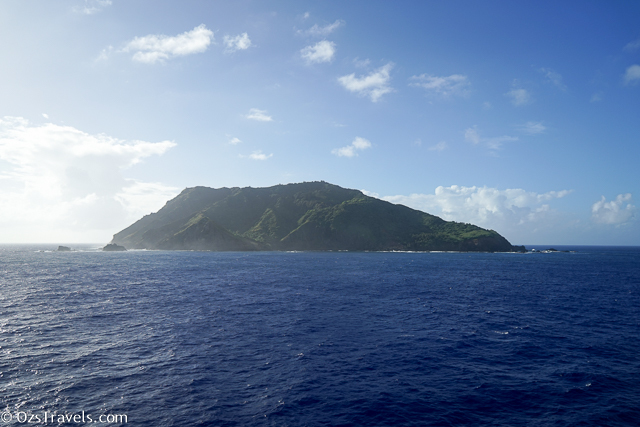 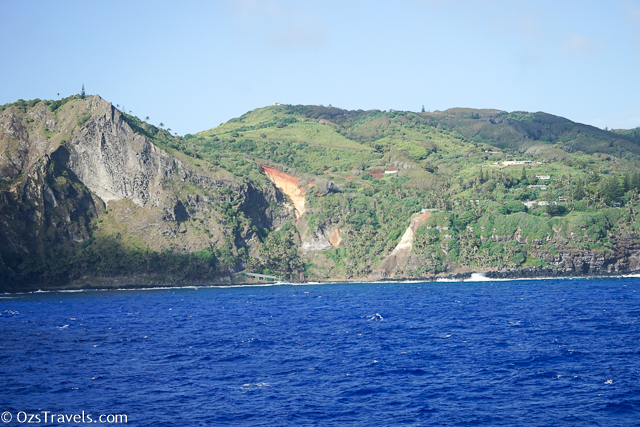 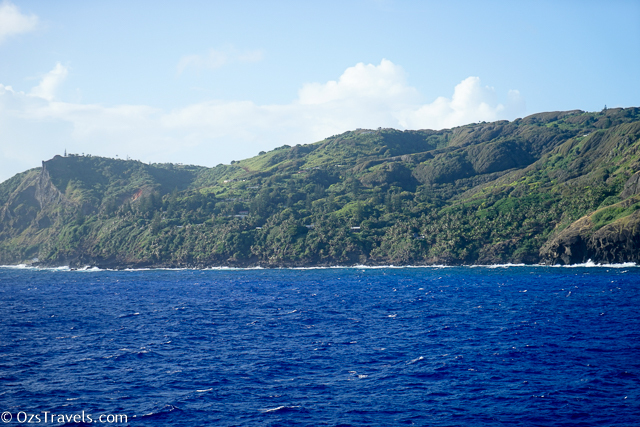 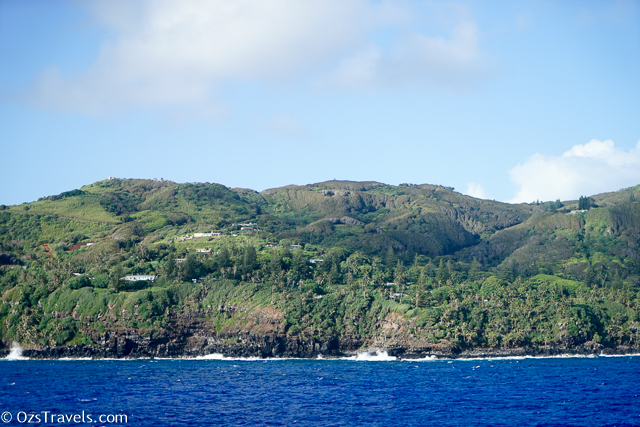 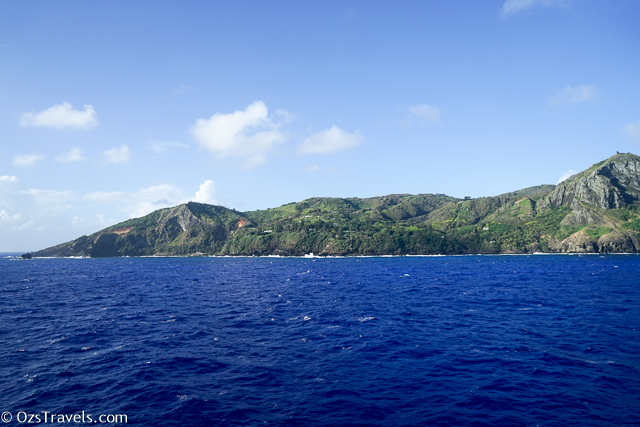 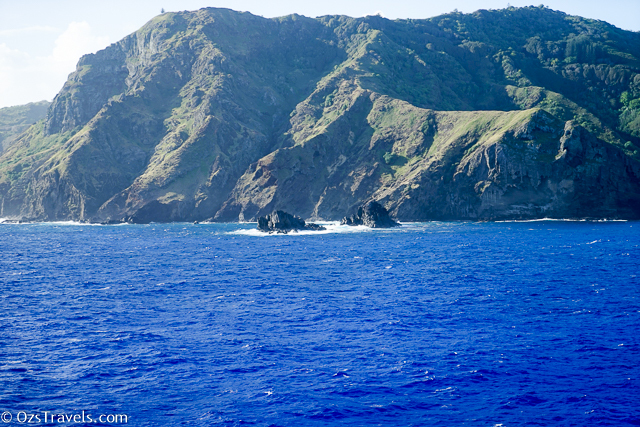 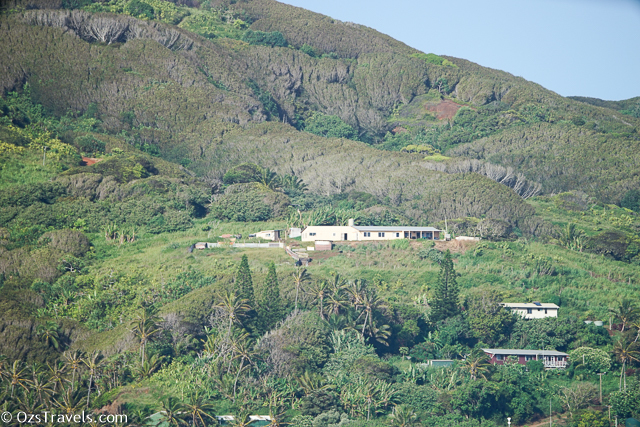 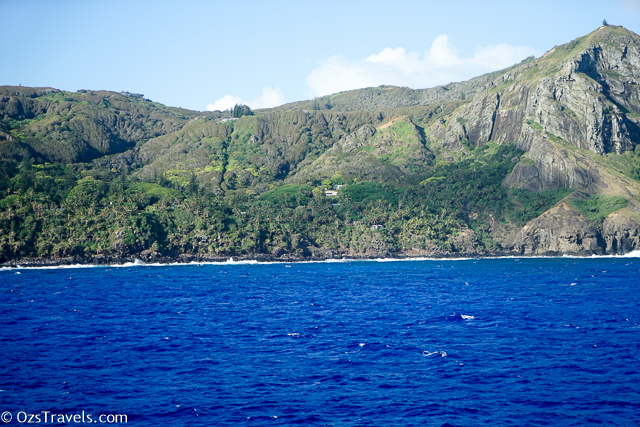 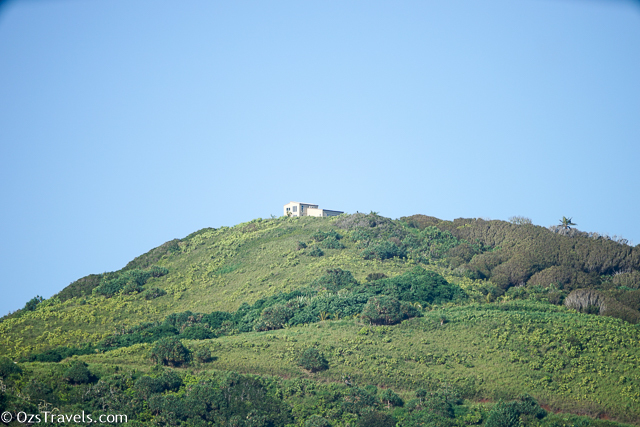 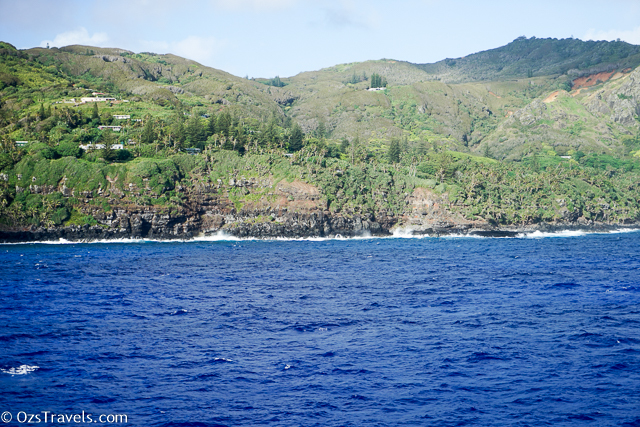 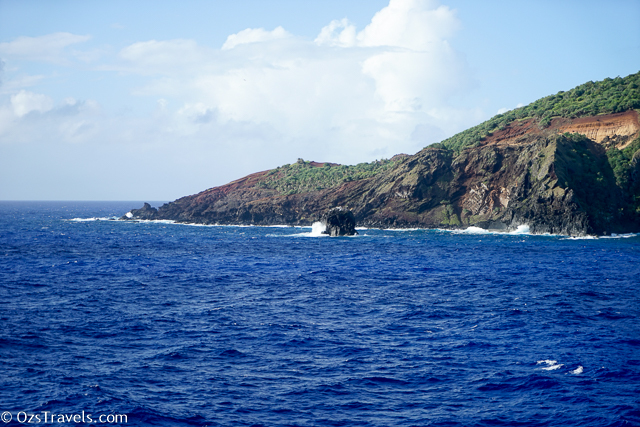 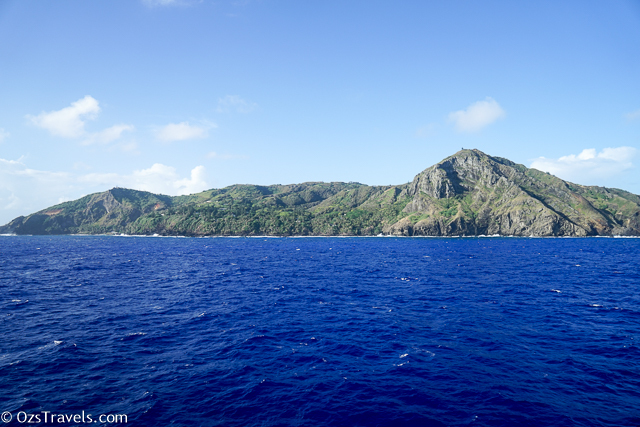 We stayed around Pitcairn for a while before departing for our next port, Rapa Nui (Easter Island). 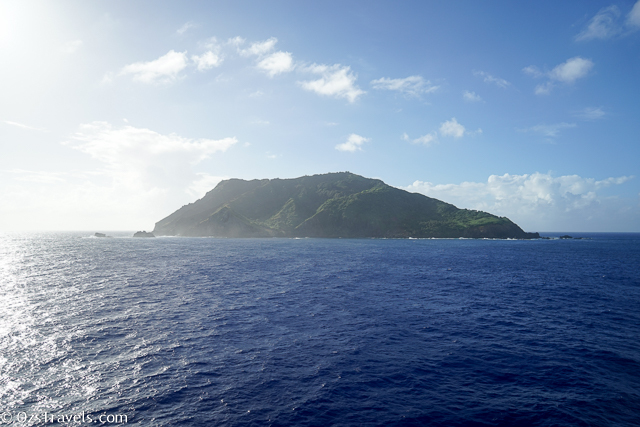 Let’s hope that the weather is favourable and we can get ashore there. 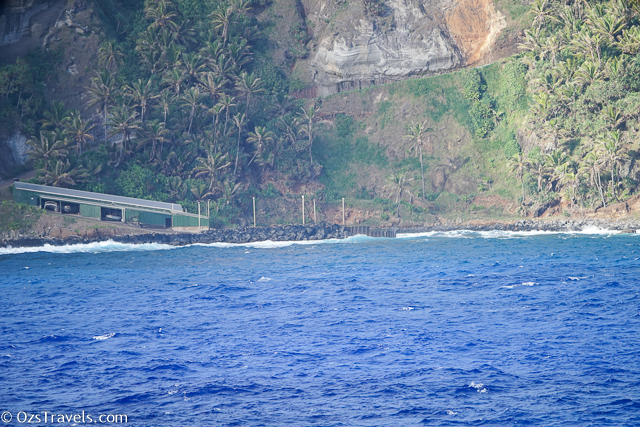 Heaven help the Captain if we can’t, there were apparently a number of very unhappy people onboard who thought we should have been able to get ashore, apparently they know better than the locals and the Captain. 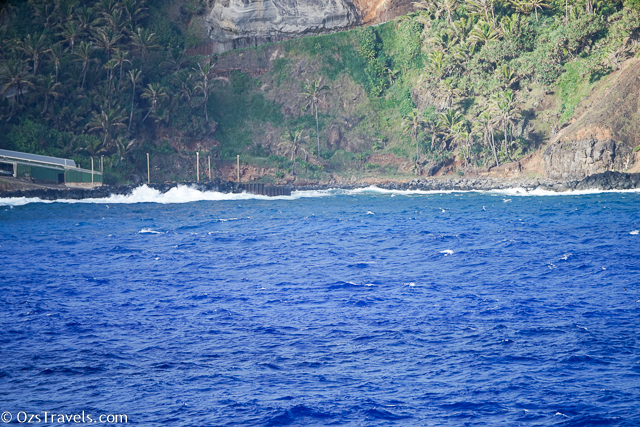 So interesting mate. 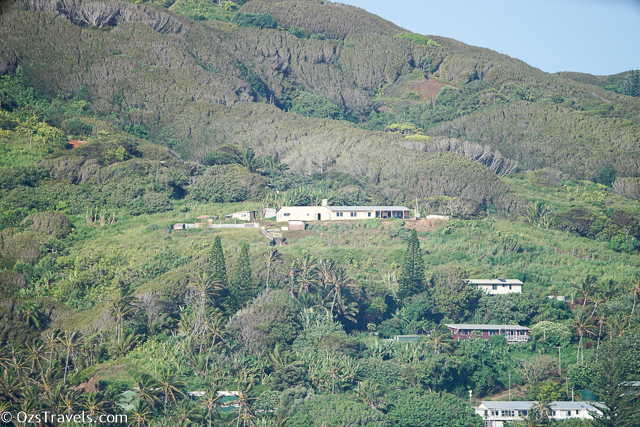 When am I gonna see some of the dining and wining??? 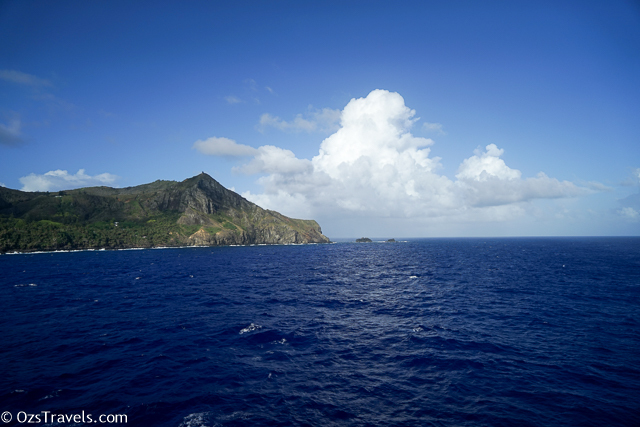 Also was on a diet onboard!